Apple. Baskin Robbins. BreadTalk. Starbucks. All familiar names but yet different in nature from one another. Or are they? At Script Consultants, we look into what makes a company stand out from their competition. Just like how in The Kingsmen, “Manners maketh man”, for companies, we found out that “Logos maketh success”. Before we look into what are the components of a good company logo, first of all, we will need to understand the effect that logos have on consumers and how they perceive it. According to the Social Science Research Network, it was discovered that 65% of humans are very visual beings. This applies to all aspects of our lives from meeting new people to deciding which brand of product to buy. This is important to understand when creating a company logo as even the subtlest components of a logo will be registered in a consumer’s mind. For example, the Toblerone logo (as shown below) had incorporated a subliminal message in the form of a dancing bear in the mountain, which was a tribute to the Swiss town where the chocolate was developed. Once Script Consultants understood how the human brain works. We then looked into how some companies managed to stand out from the crowd, and how they manage to get consumers to buy their product despite other similar products being available on the market. Think BreadTalk versus other bread shops. What makes them so successful despite being a company that is constantly being threatened by new arrivals on the scene. What if you already have a company logo? No worries! All is not lost. There is a term that we use that is called rebranding. It is when a company decides to revamp certain aspects of their company brand in order to keep up with changing times and keep up with the market and stay relevant. Prominent brands such as Macdonalds and Starbucks have successfully rebranded their logo in order to stay relevant with changing times. 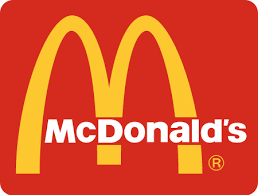 In the case of Macdonalds their new logo replaced the McDonald’s word with the phrase “I’m lovin’ it”, to put consumers at the center of attention and bring awareness to healthy options as the new generation are becoming more health conscious. https://script.com.sg/wp-content/uploads/2015/07/5D8DCD3283.jpg 1803 3200 Script Consultant http://script.com.sg/wp-content/uploads/2018/02/new-logo-web.jpg Script Consultant2015-07-07 16:18:122018-10-14 20:30:17Are Logos Linked to Company Success?